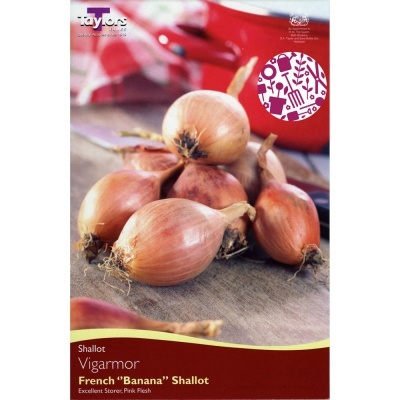 Taylors Vigarmor 'French Banana' Shallot 10 Bulbs Pack is a highly recommended shallot variety due to it's high yields and excellent storage abilities. Popular also due to it's copper skin and firm, pink flesh. Kitchen Gardeners love 'Vigarmor' as it is easy to grow and each bulb produces several shallots for summer harvesting, taking very little crop space on the plot.